Shivling is the apt representation of the formless Supreme Being – God. Shivling is the form of Shiva. There is very interesting story pregnant with symbolic meaning on the first Shivling. Vishwakarma, the architect of the universe and God of artisans, was given the job of creating the most beautiful image of God on earth. Vishwakarma stood before the cylindrical stone for days. He thought repeatedly to conceive the perfect form of God. This was to be the first image of God on earth. Therefore, he did not want to leave any stone unturned. He consulted various saints and scholars. He repeatedly listened to the words of scriptures. Each time he thought he had the perfect form in mind, there appeared something that proved that form he had thought in mind was imperfect. This continued for days. All forms that he thought were incomplete. Vishwakarma then sat in meditation and realized that Supreme Truth can never be captured in form. He realized that it is formless. Vishwakarma then placed the shaft on a basin and declared that this is Linga – that which has no attribute or form. Every stone on earth is part of that Supreme Truth, what is chipped away from a stone to create an idol is also Supreme Truth. There is not a single thing on earth that is not Supreme Truth. Everything comes out and returns back to That single source. 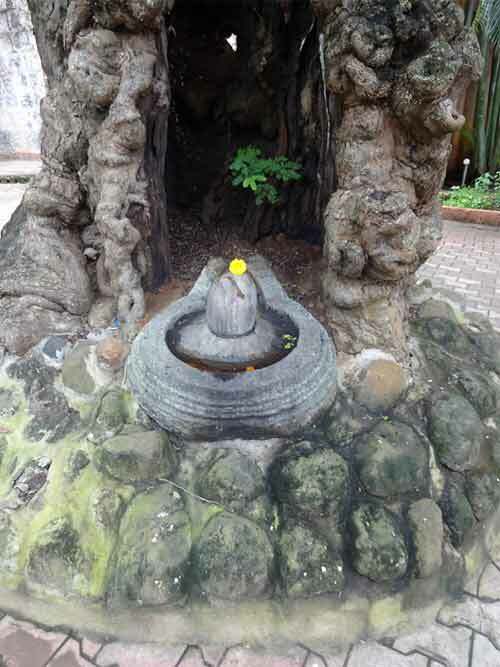 This symbolic story also shows that Shivling's origin is not related to sexuality. Form is the result of ignorance. Form is directly associated with attachment. To see the Supreme Truth we need to come out of the world of forms and see through them. All forms are the same.